In three free webinars you will learn how to set up digital experiments, assessing the capabilities of your organisation, and taking your customer experiences to new heights. Digital experimentation is the reliable process of constantly improving digital experiences without the guesswork or the risk – and it’s shaping the cultures of the world’s most successful brands. Many of world’s best digital-first brands will use digital experimentation to optimize their online experiences, power growth and own markets. Are you ready to share their sense of optimism? 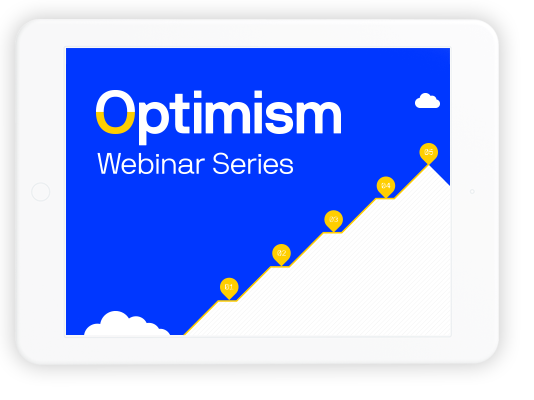 Our new series of three webinars will help you to open up the world of experimentation, assess the capabilities of your organization, and get started on the journey that takes your digital to new heights. Maybe you’re completely new to the incredible potential of digital experimentation. Maybe you’re just getting started. One thing is for sure: it’s revolutionising the way the world’s leading brands keep their digital experiences up to date with customer expectations. Ready to join them? Understanding where you are, where you need to go – and how to get there. Our first webinar explains what digital experimentation involves, the benchmarks that measure your progress, and how to take your online experiences to new heights. How to start moving your experimentation to the next level. Many organizations have already started testing and experimenting at a small scale. So now the big question is: what’s stopping you from moving to the next level? The answers are all right here. Learn how leading brands have taken their digital to new heights. A panel of digital leaders discuss their journey of digital experimentation. Hear real life examples of successful approaches, key ‘wish I'd known’ moments, and the benefits of getting it right. The world’s leading brands trust Optimizely to power their customer experiences.